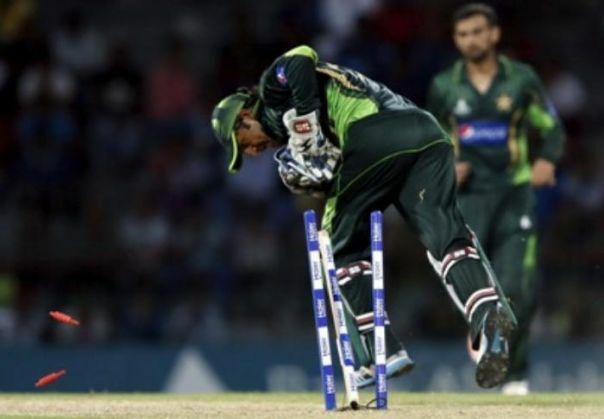 Wicket-keeper batsman Sarfraz Ahmed was on 5 April named captain of Pakistan's Twenty20 team, replacing Shahid Afridi who resigned from the position after the side's dismal World Twenty20 campaign. "PCB is pleased to announce appointment of Sarfraz Ahmed as captain of Pakistan T20 team. Sarfraz was appointed vice captain of ODI and T20 teams last year. He takes over the captaincy of the shortest form of the game from Shahid Afridi whose term as captain came to an end after the ICC World T20 2016," the Pakistan Cricket Board (PCB) said in a statement. Commenting on this development PCB Chairman Shahryar Khan said Ahmed was the natural choice for the leadership role. "I spoke to Sarfraz this morning and conveyed to him that he was our natural choice for this position. His appointment is open-ended. I wish him good luck in his new role," he said. Ahmed, who was vice-captain of the T20 and the ODI side, takes over at a time of intense turmoil for the team, which was knocked out of the World T20 in India after losing three of its four group stage matches. The disappointing show led to Afridi's resignation from captaincy. Coach Waqar Younis also put in his papers on Monday, claiming that none of his advises were accepted by the Board. The 28-year-old Ahmed has played 21 Tests in which he has scored 1296 runs at an average of 46.28. His 58 ODI appearances have fetched him 1077 runs at an average of 29.91. In 21 T20Is, Ahmed has notched up 291 runs at 29.10.